My objective for this post is to spread awareness about veganism and about the benefits that ensue from this philosophy. Therefore, it is necessary that I first reintroduce and build upon my earlier post on this website, Why I Am a Vegetarian in light of my evolution away from the use of animal products. I still fully support everything I wrote in ‘WIAaV’, and I believe that my arguments are still valid. I listed four reasons, in ascending order of importance, why I am a vegetarian. It is cheaper, it is healthier for the body, it is healthier for the environment, and it is the higher ethical, or moral, position. I do not believe that any of these arguments can be refuted, and any one of them should ideally be enough to convince a rational person of abandoning a diet built around the consumption of dead animal flesh. There is only a growing body of evidence in support of each of these arguments, some of which I briefly outlined in the original post, and much more of which can be found quite easily on the internet. The only excuse for not adhering to a vegetarian diet at this point would seem to be ignorance of the benefits and costs, which cannot be claimed by any of the readers here. Basically, the issue with my earlier post is that I did not go far enough in stating the case for not using animal products of any kind. This is because, at the time of writing, I was still only a vegetarian, but not someone who rejected the use of milk, cheese, eggs, honey, and other things. 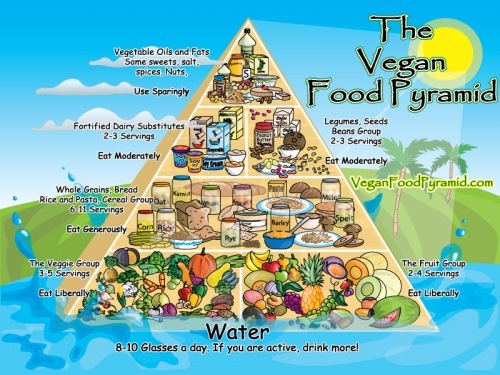 In light of further information I have become aware of, and more thinking on the subject, I have completed the evolution from vegetarian to vegan–that is, someone who chooses not to use animal products of any kind. What ‘awakened me from my dogmatic slumber’ (to use Kant‘s famous phrase about David Hume’s Enquiry) was a video by animal-rights activist, vegan, and motivational speaker Gary Yourofsky. This video, with over 1 million Youtube views, and available in 26 languages, is 70 minutes long, but I would encourage you to find time to watch it (and to pass it on to others). Also, in the ‘Links’ menu to the left you will find the website for Yourofsky’s organization ADAPTT–Animals Deserve Absolute Protection Today and Tomorrow–where you can find more videos, information, recipes, links, and much more. Yourofsky is a dynamic speaker, and his 100+ annual speeches are aimed at a primarily American and college-aged audience. Nevertheless, his arguments are valid for peoples of any age and nationality. Though the factory farming excesses he discusses might be most widespread in America, they certainly exist in most other countries as well. In addition, the segment in which he presents vegan food alternatives is probably not as useful to people outside America, and is designed to be most convincing to university students who are already used to such typical processed and pre-prepared microwaveable-type meals. Living in Italy, for example, I have neither access to any of those brands or products, nor the desire to eat them. I do have access to a wide variety of grains, fruits, vegetables, seeds, nuts, legumes, and other basic ingredients to make delicious vegan concoctions. One of the strongest points of the video is, in my opinion, his unmasking and debunking the myths surrounding milk and the dairy industry. It was this point that was most responsible for forcing me to complete the path from vegetarian diet to vegan philosophy. Obviously, the argument for not eating meat is strong and self-evident. However, the argument for not using other animal products, such as milk, is not as intuitive, and requires overcoming misconceptions and propaganda from the dairy industry. It is striking how Yourofsky emphasizes that the number one reason why vegetarians do not become vegans is cheese. We use cheese on everything, and most people are loathe to give it up. All cheeses contains a substance called rennin, which can only be obtained from the stomach of baby cows, because it is necessary for them to properly digest their mothers’ milk. Humans are only designed to consume human milk, and only until the age of one or two. After that, we have no need for milk of any kind for the rest of our lives. There are adverse health conditions that result from dairy consumption. For example, we are told that we need milk for our calcium needs and to have strong bones, but the highest rates of osteoporosis occur in countries, such as the US, were milk consumption is highest, while this medical condition is almost non-existent is many African and Asian countries where dairy intake is almost zero. Besides the fact that we don’t need milk, and that it is actually not healthy for us, we need to recognize that most dairy cows eventually get sent to the slaughter-house to become ‘beef’ as soon as they are too old to produce milk. 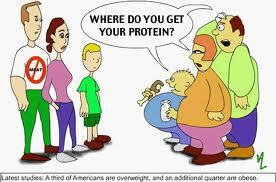 Actually, in America the majority of beef comes from old, worn-out dairy cows. The environmental question is just as clear-cut. There are billions of cows raised every year only in order to produce milk. These cows need massive amounts of grain, steroids, growth-hormones, and produce massive amounts of waste and methane gas. The amount of grain used to feed farm animals in America every year could easily alleviate world hunger. 90% of corn grown in the US is used for animal consumption (cows naturally eat grass, not corn, by the way). There is actually more than enough food produced in the world every year to feed every human, but there is not enough money to pay for it! One of the reasons for this is that such a huge percentage of food is used to raise unnecessary animals instead of humans. In this way, humans who eat meat or use animal products are only getting their nutrients second-hand, by way of an animal, instead of first-hand, by way of the plant material itself. Hundreds more examples and statistics could be summoned to continue building up this unassailable argument, but hopefully you are already convinced. Besides the health, financial, and environmental reasons, there is of course the ethical reason. Is it correct that 70 Billion animals are raised each year only to become food for humans? The vast majority of these animals live lives of such unimaginable squalor and suffering as to dull the senses. There seems to be a widespread idea that animals, for some reason, don’t feel pain or suffering like humans, or that they only exist to feed humans. These are such juvenile ideas that they would almost be laughable if they weren’t so repugnant. Notwithstanding the active abuse dished out to untold numbers of animals and the horrible conditions that they inhabit during their short, sad lives, the worst part of this issue is the fact that most humans feel that there is nothing wrong in our very mentally which justifies the slavery and subservience of all other animals to our appetites and whims, and that humans are naturally superior and ordained to dominate and rule the earth because we are the most intelligent species. This is an example of an intelligence I want no part of. We are animals too, and this slavery and abuse is unacceptable and should not be tolerated or even allowed. Once again, these arguments apply mostly to the huge industries of food production and animal exploitation, but, you might ask, “What if the animals are locally raised, cared for, and killed for food in a humane way when their time is up?” I will respond that we do not need to eat animals to live, and that there is no excuse for killing an animal merely because you enjoy the taste of its flesh. I admit that I like the taste of meat, and have eaten it for most of my life up to this point. It is not a question of taste, but of choosing not to eat it because we don’t need it, and because it is healthier and more ethical in so many ways. Finally, while I know that I will never eat meat again, I am not yet at the point where my veganism is absolute or dogmatic, and I don’t think it needs to be. I do not buy or use animal products, and try to avoid them at all costs, but understand that sometimes there is an occasion where it is too difficult to avoid something with a bit of cheese or egg or milk. For me, this could happen while I am traveling, or as someone’s guest, or another similar uncontrollable circumstance. Maybe I will eventually change my views, but for now I agree with Peter Singer, Australian philosopher and author of Animal Liberation, on this issue. For more facts, you can find a very informative chart here. If for some reason you still have doubts, just remember that even elephants and gorillas are vegans!